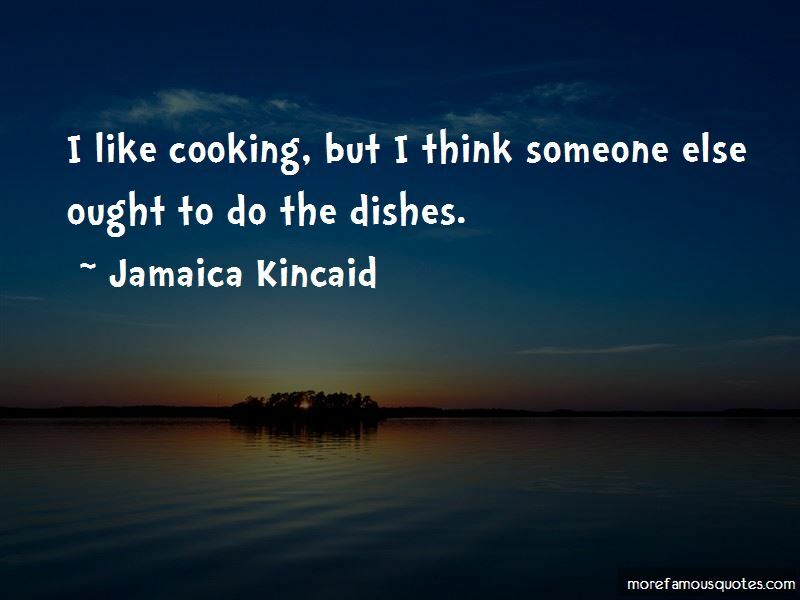 Enjoy the top 218 famous quotes, sayings and quotations by Jamaica Kincaid. 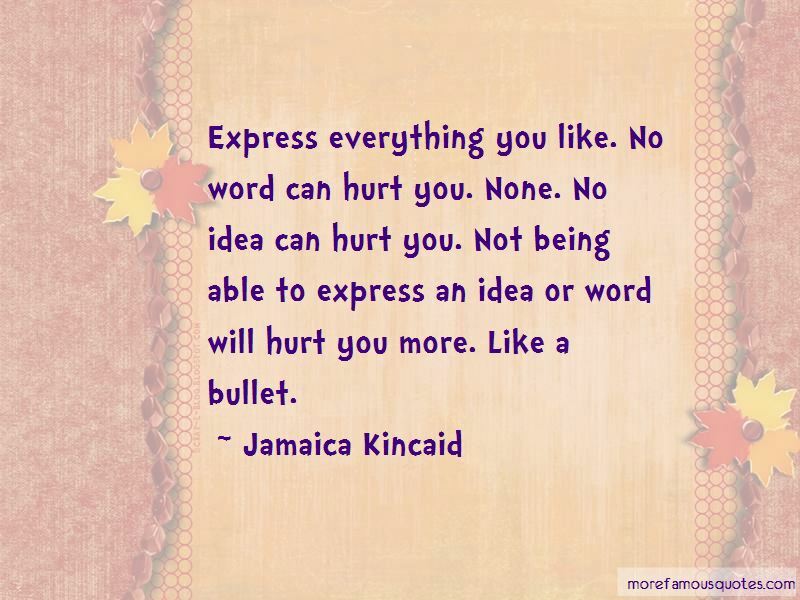 When I write nonfiction, it's always absolutely true. There will be no moment in my nonfiction where I have made something up and have to apologize to the bullying hostess of a talk show. I used to want to be a backup singer. Not a lead singer, because I really can't sing. Everyone who knew me as a child, they say they're not surprised that I became a writer because I wrote all the time. I don't remember writing, because I wouldn't have had the tools, but I think what they are saying is that I would pretend I was a writer. By then I already knew that I wanted to have a powerful odor and would not care if it gave offense. Oh what a morning it was, that first morning of Mrs. Sweet awaking before the baby Heracles with his angry cries, declaring his hunger, the discomfort of his wet diaper, the very aggravation of being new and in the world; the rays of sun were falling on the just and unjust, the beautiful and the ugly, causing the innocent dew to evaporate; the sun, the dew, the little waterfall right next to the village's firehouse, making a roar, though really it was an imitation of the roar of a real waterfall; the smell of some flower, faint, as it unfurled its petals for the first time: oh what a morning! The night-soil men can see a bird walking in trees. It isn't a bird. It is a woman who has removed her skin and is on her way to drink the blood of her secret enemies. It is a woman who has left her skin i a corner of a house made out of wood. It is a woman who is reasonable and admires honeybees in the hibiscus. I've written a book about my mother, and I don't remember anyone going to Antigua or calling up my mother and verifying her life. There is something about this book that drives people mad with the autobiographical question. I swim in a shaft of light, upside down, and I can see myself clearly, through and through, from every angle. Perhaps I stand on the brink of a great discovery. I had come to feel that my mother's love for me was designed solely to make me into an echo of her; and I didn't know why, but I felt that I would rather be dead than become just an echo of someone. If I actually ran the world, I'd do it from the kitchen. It's not anything deliberate or a statement or anything, that's just how I understand things. It's arranged along informal lines. 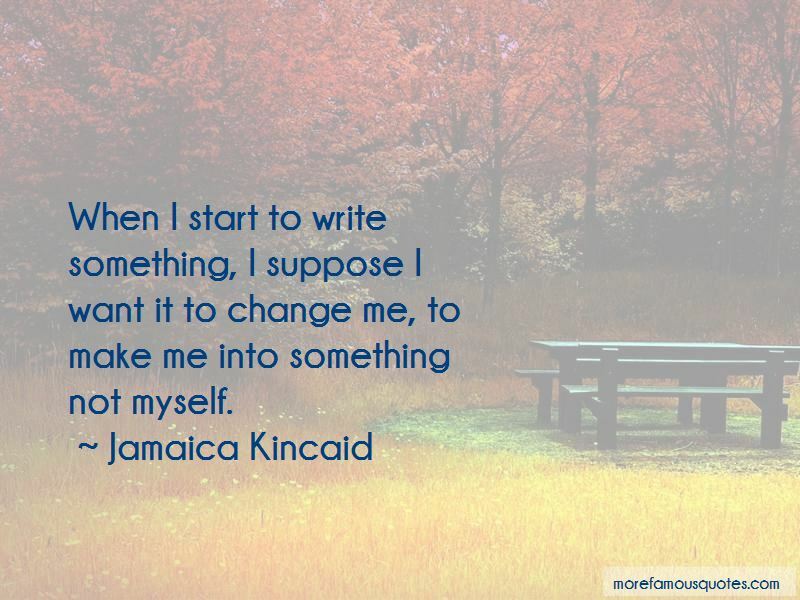 Want to see more pictures of Jamaica Kincaid quotes? 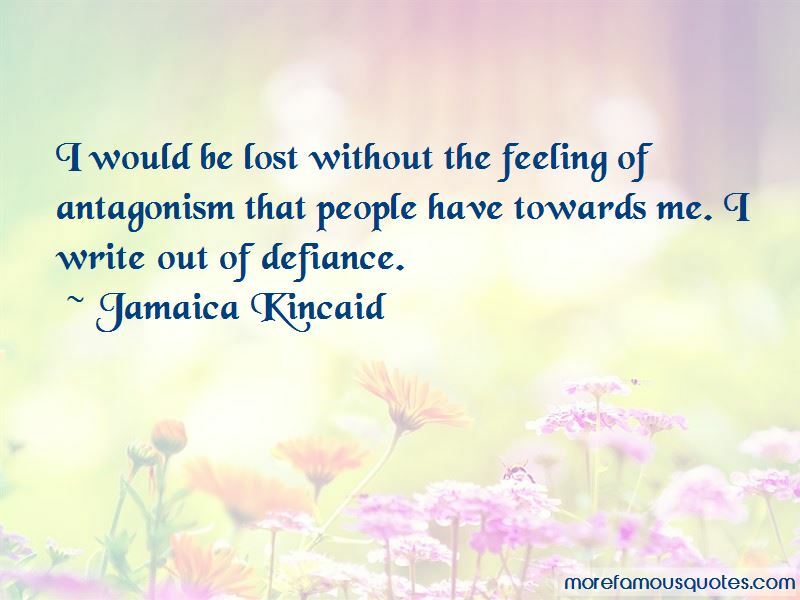 Click on image of Jamaica Kincaid quotes to view full size.